Located in northern Santa Barbara County, the Santa Ynez Valley is just 35 miles from the beaches of Santa Barbara, 125 miles up the coast from Los Angeles and 300 miles south of San Francisco. The region is easily accessible via vehicles on U.S. Highway 101 and State Highways 154 & 246. For car free travel, Amtrak trains feature connecting bus service to Solvang (www.amtrak.com); and private aircraft land at Santa Ynez Airport (IZA). Tour and taste acclaimed Pinot Noir, Chardonnay, Syrah and other varietals at over 70 world-class wineries and tasting rooms. Golf, hike, bike, fish, see wildlife, tour a horse ranch, take a horseback ride or soar over it all in a glider. Enjoy a picnic lunch in a vineyard or waterside at Lake Cachuma. Savor delicious meals within every budget from gourmet wine country cuisine to Danish, international and classic American favorites. Learn about Santa Ynez Valley history at museums and 1804 Mission Santa Ines. Satisfy every shopping desire in art galleries, clothing boutiques, gift and antique stores. Experience 24/7 gaming, world-class concerts and entertainment at the Chumash Casino. Rejuvenate at a day spa. Relax in a cozy inn, lodge, luxury resort or full-service hotel. Do some country-western two stepping. Take in a concert or see PCPA Theatrefest's summer performances under the stars. The Valley supports a vibrant cultural calendar. 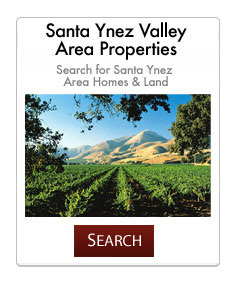 Anytime is the perfect time to discover and visit the Santa Ynez Valley.